When switching from traditional incandescents to LED light bulbs, the benefits are almost immediate. From homeowners to those seeking to upgrade commercial buildings, replacing older bulbs with newer, more energy efficient ones only increases the cost savings over time. While LEDs are still a little more expensive upfront when compared to incandescents or fluorescents, they definitely earn their keep over the course of their extensive lifespan. Since the pluses for using LEDs far outweigh the minuses, we’re presenting you with a more few ways that these little rays of light can benefit you in the long run. 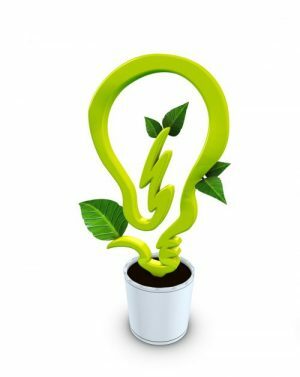 Are you looking for ways to reduce your power bill? Perhaps you’re looking to live a more green life? One of the easiest ways to do this is by changing out the light bulbs in your home. The Department of Energy states that LED bulbs use 25% to 80% less energy than incandescents. Don’t think though that the decrease in energy usage means that the quality or longevity of the bulb is affected. LEDs last 3 to 25 times longer when compared to traditional 60W bulbs. This results in 30,000 to 50,000 hours more life than their older cousins. This means that you are reducing the amount of energy wasted lighting rooms in the home, decor, appliances, and other areas in residential and commercial spaces. One of the main hazards to using incandescent bulbs is the amount of heat that they give off when used. As a matter of fact, 90% of the energy released from these bulbs is in the form of heat. Unfortunately, this can often result in bulbs overheating and increasing the risk of burns and injury. On the other hand, LED bulbs emit almost zero ultraviolet (UV) or infrared light (IR). What does this mean? Since the amount of energy used to light these bulbs is much less, this means that these bulbs are much cooler and are less at risk for overheating. Remember what happened when you dropped a lightbulb on the floor? Even a small bump can knock the filaments out of place in traditional bulbs. When that happens, the bulb is no longer usable. While this doesn’t seem like big deal, this is a cost that tends to add up over time. LEDs in comparison are not made of glass or quartz as with traditional lighting. Instead, they are mounted on a circuit board surface making them more secure. This generally holds up better than fragile glass when faced with direct impact on harder surfaces. Once you make the switch to LEDs the cost savings can be seen year after year. For every 2 hours of usage with a 60W incandescent bulb, the cost per bulb is $4.80 according to to the US Department of Energy. After switching to LED bulbs, this cost comes down to $1.00 per bulb. Also, consider the cost-benefit when comparing the bulb life of these two bulbs. An incandescent will provide around 1000 hours of light versus 25,000 for an LED. This comes out to 3 years of life should you decide that your lights need to stay on for 24 hours a day, every day. These bulbs are still a little more expensive upfront, but the cost breakdown over time will leave you with more money in your pocket. LEDs have another benefit of having an exceptionally positive impact on the environment. We can check off that they are energy efficient. However, we can also add that they also don’t contain mercury. At higher levels, mercury can affect the central nervous system along with damaging internal organs. This is one health concern that is not a consideration when making the switch from older bulbs. LEDs are used in a wide range of places in both the home or in commercial spaces. From refrigerators to in-home lighting fixtures, these bulbs have helped to increase energy efficiency for a number of people. However, these benefits extend beyond just the home though. LEDs are slowly becoming more common in outdoor spaces such as walkways and event lighting. This is no mere coincidence or trend for LED bulbs. These bulbs are here to stay and will continue to make a positive impact on both the environment and on your wallet for the foreseeable future.